What’s the best accounting software for manufacturing & wholesale? The best accounting software for manufacturing and wholesale is Quickbooks Enterprise. It provides advanced, end-to-end accounting solutions specifically for the manufacturing and wholesale industry such as inventory tracking, sales order fulfillment, and various industry-specific tools, features and reports. Manufacturing and wholesale businesses work hand-in-hand to deliver products and services to the customer. The complexities of their tasks lead to accounting challenges. If you’re a manufacturer, you’ll spend time in calculating processing expenses, raw materials, and value of finished items. Meanwhile, wholesalers may encounter difficulties in the supply chain like managing certain merchandise volumes to purchase and shipping the products to different locations. Accounting in the manufacturing and wholesale industry involves more than just numbers. With the right accounting software, you can leverage its functionality to improve your business’ financial flow. Hence, in this article, we compiled the 20 best accounting software for manufacturing and wholesale to help you pick the best one for your company. What is the 20 best accounting software for manufacturing & wholesale? Today’s manufacturers encounter a long list of challenges. According to Supply Chain 24/7, 61% of manufacturing companies face difficulties in the rising supply chain management costs. There are also demands for faster and more accurate fulfillment 60%), volatility (59%), and more complex global operations (42%). To meet the growing complexities of today’s manufacturing operations and increasing wholesale distribution channels, stepping up your processes with the right set of tools are highly crucial. Manufacturing businesses contribute significantly to the US economy. In fact, manufacturers contributed up to $2.33 trillion in the first quarter of 2018 to the US economy according to a report by NAM. It’s interesting to note that the majority of the manufacturing firms are small with less than 20 employees. This means each employee has to utilize the right skill set to contribute to the company. With accounting a critical aspect of your operations, using the right tool can help streamline and optimize your finances accurately. With that in mind, we’ll explore the 20 best accounting software for manufacturing and wholesale business. These products are not created equal and there’s no one-size-fits-all solution, hence, expanding your choices will help you narrow down which one matches your needs best. QuickBooks Enterprise tops our list because the brand is widely used in the accounting industry, meaning, from both vendor reliability and user adoption perspective, this software is a solid choice. Not the least, QuickBooks Enterprise offers various industry-specific tools particularly in the manufacturing and wholesale businesses. Its manufacturing accounting software comes with advanced inventory so you can keep track of your enterprise’s overall sales, cycle counts, and purchase order management, among others. QuickBooks Enterprise, also known as QBE, is built as an integrated accounting platform for growing companies. It offers advanced accounting functionalities to provide an end-to-end solution for the mid-market size in place of ERP systems. It seamlessly incorporates inventory tracking, payroll, and payables so you can effectively manage your manufacturing production and scheduling. QuickBooks Enterprise features suit the unique processes in manufacturing and wholesale business. Some examples include mobile inventory barcode scanning, a centralized inventory dashboard, serial/lot number tracking, and sales order fulfillment. Improved “Pick, Pack, and Ship” functionality. Assign which order needs to be picked, packed and shipped in the click of a button on its centralized inventory dashboard to streamline the process and eliminate errors. “Cycle Count” feature. A new feature that gives you a real-time cycle count. This tool enables you to see your inventory level without shutting down the warehouse. Sales order fulfillment. You can see all open orders and its details in a single screen. Orders can be organized according to customer, date, or invoice. At its core, NetSuite ERP is a robust solution for manufacturers. It’s complete with features for supply chain management, shop floor control, procurement, production control, planning and scheduling, order management, and product data management. It is built to help manufacturers eliminate using error-prone and time-consuming spreadsheets, accelerating financial close processes, and lowering resource and IT costs. NetSuite ERP finance and accounting merges with compliance management to efficiently improve your financial close. You get real-time access to your live financial data so you can monitor and make timely decisions. It supports accounts receivables, accounts payables, tax management, and cash management, among others. If you’re interested to check out the software, you can sign up for NetSuite ERP free demo here. Global ERP. You can operate your supply chain and manufacturing processes from anywhere in the world. Supply chain. It has tools for you to monitor your outsourced manufacturing processes. Financial management. It’s complete with the general ledger, accounts receivable and payable, payment management, tax management, and fixed asset management, among others. Sage Business Cloud offers a manufacturing accounting software so you can stay on top of your manufacturing operations. It gives you a complete view right from procurement and scheduling to financials, inventory, and sales. This tool is ideal for mid-sized businesses and enterprises, particularly multi-site and multi-company firms. Its built-in industry-specific solution streamlines manufacturing and distribution processes for better operations. The tool takes care of various pricing methods and flexible pricing. Sage Business Cloud features include Bill of Materials management, work order release management, automated capacity planning, and production management according to inventory, job or order. You can sign up for Sage Business Cloud free trial here to explore its functionalities. Why choose Sage Business Cloud? Cash flow data. You get a better understanding of your cash flow with information on income, expenses, and invoices. Finance management. It has a reliable solution for budgets, reporting, accounting, and cash management. Robust manufacturing support. Get access to routing, bills of materials, quality control, work and cost management, and project management, among others. 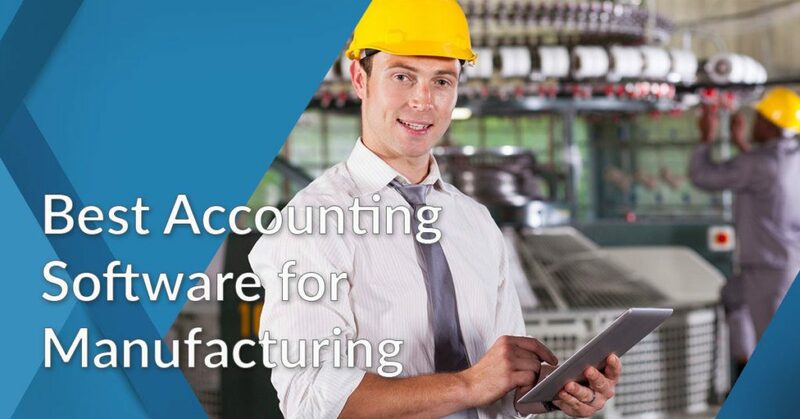 Xero is a simple accounting software that offers a robust solution for manufacturing businesses. It helps you stay on top of your stock quantity and value, build and distribute online quotes using any device, and access smart financial reports. Its intuitive dashboard shows you the latest charts so you can stay up-to-date with changes in your production. As an integrated solution, you can use versatile Xero accounting tools to connect and sync your data with third-party manufacturing apps like TradeGecko, Dear Inventory and Unleashed. You also get your hands on easy-to-use features such as invoicing, bank connections, bank reconciliation, billings, and project management. It’s also an affordable manufacturing accounting solution that even small businesses can use. Inventory management. It helps you manage your stock quantity and value accurately. Up-to-date charts. The Xero dashboard is highly intuitive so you get complete visibility of your latest charts in real-time, at a glance. Intuitive mobile app. The tool can be accessed from your staff’s mobile device so they can stay connected even when on the go. Sage Intacct is an efficient tool that you can use for your wholesale distribution accounting. It helps you keep an eye on your supply chain operations using real-time reports and dashboards. You get visibility over your daily logistics and inventory velocity. It also optimizes multi-location business management, product inventory, and purchasing. You can also generate reports on stock-outs, shipping errors, and shrinkage and margins to identify areas where you can improve your operations. Sage Intacct accounting features also help you with warehouse management. It accelerates distribution workflows in generating stock orders and tracking inventory. The finance staff can get their work done more accurately and quickly as time-consuming, manual spreadsheets are eliminated. Scalable tool. You don’t have to add IT resource when growing your wholesale distribution firm’s financials as the software is highly scalable and integrated. Robust integrations. It seamlessly integrates with upstream and downstream supply chain apps like Salesforce CRM and AvaTax. Warehouse automation. It optimizes tasks like inventory, stock orders, and approvals. Brightpearl is a tool that specializes in inventory and multi-channel order management, making it a reliable tool for wholesalers. It packs robust accounting features like chart accounts and nominal codes, supplier invoices, customer statements, and product tax codes. On top of that, its inventory management solution is highly robust where you can manage inventory counts, cycle counts, Just in Time (JIT) ordering, returned inventory, surplus inventory, ABC analysis, and dead stock. The Brightpearl integrated warehouse management feature performs cycle counts, ensures goods get in and out of the warehouse quickly, and optimizes order fulfillment. Additionally, it integrates with 3PL systems and shipping providers to automate shipping processes. Lower processing costs. It has a short learning curve so you can immediately gain value with the system. Barcoded inventory. This eliminates errors as items are automatically scanned with their product barcodes to reflect changes and movement. Order Fulfillment. Workflows are configurable and automated for batch picking, packing, and shipping of orders. FinancialForce Accounting can power businesses in the manufacturing industry by automating financial operations. This software provides a tool for inventory management to give you access and to streamline your entire order fulfillment workflow. You can manage multiple channels in a single system for consistency. Its inventory control is also comprehensive with cycle counting and item stocking capabilities. FinancialForce Accounting tools are highly scalable to adapt to your specific and growing business needs. The software shows you complete information on the stocks you receive and ship out. It simplifies the movement of goods from one warehouse and location to another. Furthermore, you gain actual visibility of your profits and margins using each item’s established serial number and lot control. Intuitive mobile app. Access reports on your mobile devices to stay connected anywhere, anytime, and make a quick but informed decision-making. Team productivity. It uses automation to empower teams with increased work demands without adding headcount to minimize costs. High margin products. Your team can determine products with high margins to prioritize to increase revenue.  AccountEdge offers a manufacturing accounting software. It streamlines all transactions that can affect your financial statements like purchasing new equipment, preparing purchase orders, and handling payroll. It’s an on-premise tool you can purchase for your Windows or Mac desktop so you own your software and data. To access accounting functions on the go, it also has an additional cloud-based app. The AccountEdge inventory management module helps track your inventory count, serial numbers and item variations. You can also create your own invoices and estimates to accelerate transactions. Meanwhile, it supports a UPS Shipping Integration for the shipments of your sales transactions. Auto-build items. This feature lets you track individual components of your product that reflects on your inventory count. Shopify partnership. You can eliminate the need of having a wholesaler so you can sell your products directly on Shopify. UPS Shipping Integration. Quickly forward your sales transactions for shipments. Freshbooks is a reliable platform that focuses on simplifying accounting and invoicing. This software is ideal for small businesses looking for something that’s easy to set up and quick to learn. It’s a mobile app, available on Android and iOS, lets you stay connected with your business. You can even send invoices and track expenses on the go. FreshBooks integrations help you to easily extend its functionalities with third-party systems. This suits manufacturing and wholesale businesses that need a tool with automated, recurring invoices, automated payment reminders, team collaboration, and streamlined hours billing. You can sign up for Freshbooks free trial here to check if it suits your needs. Client billing. It prioritizes client billing with tools for time tracking, project management, and invoice management. Built for tax management. It prepares your business for the tax season to organize your expenses, review income and expenses and utilize the Balance Sheet. Project management. Monitor your production operations in collaborating with business partners, employees, and contractors. Sage 50cloud combines the functionality of secure online access and desktop for your accounting needs. It is packed with accounting, invoicing, inventory, taxes and cash flow tools. Its industry-specific solution for manufacturing businesses is available on its Sage 50cloud Quantum Accounting plan. You can sign up for Sage 50cloud free trial here to test drive the software at no cost. Sage 50cloud accounting modules integrate with various manufacturing systems like Manufacturing Info Systems, BizOps, Aegis Business Optimization System, and ProTrack. Creating proposals and quotes are streamlined. They are also quickly transformed into invoices and sales orders. Furthermore, it has at-a-glance dashboards, expense management, and single-click reports. Reliable solution. It helps you keep your business finances in track while staying compliant with taxes. At-a-glance dashboard. It quickly shows you your financial health such as available cash, on-hand inventory, expenses, and receivables. Enterprise-level functionality. It is highly scalable, supports workflow automation, stock and reporting features, and role-based security. Zoho Books is an online accounting software for small and growing businesses. It lets you track inventory in real time which is crucial for manufacturers and wholesalers. You can organize your inventory with product details like vendor details, SKU, product image, and on-hand stock. It also has automated banking, expense tracking, and a Client Portal. In addition to inventory management, Zoho Books features help you manage your supply chain. Purchase and sales orders enable you to communicate requirements with vendors and confirm sales before shipping, respectively. It also helps you prepare for the tax season by accurately keeping track of your tax liability. It’s an affordable solution that you can explore for free when you sign up for Zoho Books free trial here. On-the-go support. It has apps available on mobile devices — iOS and Android — to access your financial data on the go. Inventory management. Essential for monitoring your inventory levels, ensuring well-stocked items, and identifying fast-moving goods. Automated banking. You get a real-time update of your cash flow by connecting the software to your bank account. Cloud-hosted QuickBooks Online works on your Mac, PC, phone, and tablet. It is packed with features such as one-click sales and tax reports, sales and expense tracking, accounts payable management, and creating invoices. Since it’s web-based, it has features not available to its Desktop counterpart like instant file access and automatically sending invoices and scheduling. QuickBooks Online work with numerous third-party apps to leverage its inventory features. Some examples are Fishbowl Manufacturing and MISys Manufacturing. Its ease of integration for manufacturing businesses and popularity among bookkeepers and accountants make it a reliable accounting tool. If you want to try out the software, you can sign up for QuickBooks Online free trial here. Integrations with manufacturing tools. It integrates seamlessly with numerous third-party manufacturing tools. Streamlined auto-syncing. Data is easily auto-synced on all devices to ensure reports are consistent and up-to-date. Accessible data viewing. Since it’s web-based, users can access data on-the-go using any device. Tipalti transforms the complexities of financial management into a simple process. It also prioritizes financial and compliance risk for mitigating potential frauds and risks. Its supplier management tool gives suppliers a white-labeled, self-service portal to give them a choice of their payment options. It also has tools for payment reconciliation and reporting. Tipalti integrations include robust apps like NetSuite, QuickBooks, and HasOffers. Manufacturers and wholesalers can use the software to leverage their processes. It’s loaded with features like global payments, invoice processing, and instant payment reconciliation. The tool is highly scalable to support your needs long-term. You can sign up for Tipalti free trial here to check out its features. Tax compliance. It’s equipped with governance capabilities like audit trails, OFAC screening, and FATCA and W-9/W-8 tax compliance. Automation. It takes care of cash flow management, accounts payables, and resource alignment, among others. Global supplier payments. Suppliers, regardless of their location, can collaborate with your business with ease. Zoho Expense is an accounting tool and manufacturing expense reporting solution that specializes in automating expense reports, speeding up reimbursement processes, and simplifying approvals. Manufacturers and wholesalers can use this software to stay on top of their expenditures with detailed spending limits. It also streamlines how you record expenses as it automatically turns receipts into expense entries. Zoho Expense accounting tools are also ideal for manufacturers and wholesalers who are looking to keep track of their expenses and generating reports with ease. In fact, the software is equipped with features specifically for the manufacturing industry. For instance, if your employee incurs separate expenses in the various stages of your manufacturing process, you can set up policy management for limits and reimbursement claims. You can sign up for Zoho Expense free trial here to check out the software at no cost. Receipt auto-scanning. Employee receipts are automatically scanned and converted into expenses using any device. Streamlined approval flow. Customize your approval flow to speed up the approval process between the submitter and approver. Custom policy management. You can set the expenditure limits for each employee throughout the manufacturing process and streamline reimbursement claims. Zoho Invoice is another product that made it to the list because of its affordable, easy-to-use yet feature-rich solution for your accounting processes. It is built for invoicing and billing. Manufacturers and wholesalers can use this tool to track expenses, billable hours, and estimates. For instance, if you incurred expenses for the manufacturing process, the software helps you track your reimbursable expenses and bill the clients accurately. When negotiating deals, you can also use this software to offer an estimate based on prices and discounts. Manufacturers can set a minimum number of items for wholesalers to purchase and in a certain period of time as part of the agreement. The Zoho Invoice mobile app is also intuitive. It helps you to create, send and handle invoices on the go. If you want to check out the software firsthand, sign up for Zoho Invoice free trial here. Expense tracking. Record, track and attach your receipts for expense reports. Project time tracking. Useful for monitoring your time for each production project and billing accurate hours. Online payments. It optimizes accepting and sending payments online. Online Invoices is an online billing and invoices management software. This accounting tool can be used by manufacturing and wholesale businesses with its robust inventory management solution. It’s loaded with features such as sales invoices, barcode reader, and tax management. You get a live Profit and Loss report so you can keep track of your warehouse’s expenses and revenue on a daily, monthly or yearly basis. Furthermore, the Online Invoices inventory feature helps you keep track of your stock movements and levels. When an item is low in stock, you will receive automated reminders. You can generate variance reporting by running a stocktaking process. Meanwhile, you can take care of your suppliers’ list efficiently by quickly placing purchase orders and forwarding them. If you’re interested in these features, you can sign up for Online Invoices free trial here. Staff management. Keep track of your employees’ performance, improve staff accountability, and clarify milestones and objectives. Manage stock movements. Monitor your inventory’s stock levels and stocktaking. Expense tracking. Stay on top of your expenses and revenue with Profit and Loss reports, sales, purchases and invoices. If you have a small manufacturing and wholesale business, Invoice Meister is efficient online accounting software that can do the job. It gives you features like online invoices, bank reconciliation, online payments, multi-currency support, recurring invoices, payment tracking, and invoice templates. These functionalities are essential for your accounting processes so your staff can focus on more important tasks. Meanwhile, Invoice Meister pricing is flexible. Its starting plan, in fact, already includes unlimited contacts, online invoices, and products. You can quickly sign up for Invoice Meister free trial here to get started in testing out the software. You can use it to determine how you can monitor your business’ revenue and organize your accounts. Affordable tool. The plans start at €7.50 per user per month (around $8.50) with highly scalable packages. Robust financial reports. You can monitor your financial data with reports like balance sheets, profit and loss, accounts payable and receivable, and item and customer cards. Multi-currency support. A global solution that allows sending of invoices internationally. 1&1 Online Accounting is an online accounting software that helps you prioritize your finances. It is built for small and medium-sized businesses and features three modules which are Invoice, Accounting, and Inventory Management. These modules, when combined, give you a robust solution for your manufacturing and wholesale accounting needs. The 1&1 Online Accounting dashboard gives you visibility of your customer, supplier, and product data, among others. It also shows you important transactions, revenue surplus reports, and incoming and outgoing invoices. One of its most useful features is its warehouse management tool that enables you to plan, control, and handle your inventory movements accurately and efficiently. You can sign up for 1&1 Online Accounting free trial here to check out its functionalities. Warehouse management. You can sort and filter products and stock levels in a single click to manage your inventory movement. Automated calculation. It automatically calculates sales tax with complete details on purchase dates and account payments. Invoices and quotes. You can create professional-looking invoices and quotes using any device. SutiSoft Spend Management is a platform that gives you a centralized solution for your expenditures. It has expense reports, accounts payable, invoicing, and data analytics. This is built for businesses looking to minimize their costs and increase their productivity. It shows businesses their spending patterns which are crucial for manufacturers to consider for their raw materials. This SutiSoft Spend Management feature can help you adhere to compliance standards and identify trends. It is designed to give you a holistic view of your business expenses so you can make informed decisions with your product and service’s pricing value. Why choose SutiSoft Spend Management? Spend reports. It simplifies the creation of spend reports by transforming receipts into expense records. Transparent procurement. You get full visibility of your purchasing and payment processes. Contract management. A feature you can use to streamline deals and agreements from creation to renewal. Wrapping up this list of 20 best accounting software for manufacturing and wholesale business is FG Receivables Manager accounting software. It is a tool for businesses looking for an accounting solution that focuses on the receivables process. It is ideal for those who want to accelerate how they receive compensation. You can use the tool to take care of increasing your work capital. It also has solutions for the manufacturing, wholesale and distribution industry. The software has seamless integration with various accounting and ERP systems so you can sync data in real time. This capability empowers you to avoid double-data entries, eliminate time-consuming manual data transfers, and replace existing systems. Some of the apps it integrates with are Sage, SAP, Xero, QuickBooks, and Oracle. Why choose FG Receivables Manager? Extensive integrations. You can expand the software’s functionalities by integrating with popular accounting and ERP tools. Bank-level security. It encrypts communication, tracks user activity, and protect data. Speed up collect-to-cash cycle. Its built-in tools help you collect your payments faster. As a final note, remember that QuickBooks is a versatile accounting solution. It can work with other industry processes and requirements. For instance, if you’re looking to integrate it with point-of-sale, read our guide on the top POS solutions that work great with QuickBooks.